Bryan McAllister is a composer, bandleader, and keyboardist from Rocky Mount, NC and currently living in Reno, NV. Influenced by many genres and music styles, Bryan has found a voice in his playing and writing through blending electronics with acoustic instruments. Bryan has toured his own bands as well as touring with a handful of rock and metal bands, and the acclaimed indie rock group The Tragic Thrills. After finishing graduate school at the University of Nevada, Bryan was hired to the faculty, teaching courses in musicology and the arts. 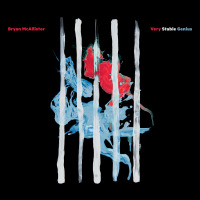 Bryan has had the honor of playing with many great musicians including Peter Epstein, Donny McCaslin, Marvin 'Smitty' Smith, Bennie Maupin, Dara Tucker, and Lage Lund. All About Jazz musician pages are maintained by musicians, publicists and trusted members like you. Interested? Tell us why you would like to improve the Bryan McAllister musician page.